Dr. Milton Rafferty is Head of the Department of Geography, Geology, and Planning at Southwest Missouri State University. When Henry David Thoreau noted in 1837 that the axemen hacking away at the white pine forest behind Bangor, Maine had hardly left a mark on that vast timbered land after a hundred years of chopping and sawing, he scarcely could have imagined that the great Eastern forest of the United States would have fallen by the beginning of the Great Depression of the 1930s. Rapid western expansion and great economic growth quickly subdued the great eastern forests from Maine to Florida, from Minnesota to Texas and Louisiana, forests which at frost had seemed limitless. The exploitation of the Ozark forests was a part of a larger, national event. The lumbering frontier followed a definite pattern of advance from one virgin forest to another. For the first half of the 19th century, the industry centered in New England, but by 1850 the axemen had invaded New York and Pennsylvania. By the 1870s the Great Lakes states had become the hotbed of forest exploitation; and by 1880 the ring of the woodsman's ax could be heard in the yellow-pine forests of the South. Between 1895 and 1910 the southern states produced 30 percent of all the lumber used in the United states. Meanwhile, the advance of the lumber frontier continued, and in the early twentieth century the redwoods and Douglas fir of Washington, Oregon and California began to compete with the lumber products of the East. To nineteenth century Ozarkers trees were both a hindrance and a universal resource. They cut them and burned them to clear land for crops. They hewed them into railroad ties, which were then tied into rafts, and floated downriver to railheads. They sawed them into lumber to be railroaded to distant markets. They built their houses of logs, furnished them and heated them with wood. Bridges were built of timbers and planking. They dammed streams with logs to develop water power to saw lumber, to grind grain and to forge tools. They traveled in wooden boats and wooden wagons, tilled their fields with wooden plows, and most of their tools and household utensils were fashioned from sturdy oak and hickory. Urged on by the quest for land and wealth, settlers chopped, sawed, and burned their way into the remote Ozark interior. Farms replaced forests, crops displaced trees, free-ranging cows and hogs evicted deer, roosters crowed where quail once called, and civilization subdued the wilderness. The lumbermen who entered the Ozarks after the Civil War were pioneers, if the word's definition can be applied to people who developed untouched natural resources; but they were first businessmen looking for profits the same as the cotton farmer, the rancher, the miner or any other individual or group seeking wealth through exploitation of the natural wealth of the wilderness. The first commercial use of the Ozark forest was in making charcoal to fuel the iron and lead furnaces in the Mineral Area of eastern Missouri. Large furnaces like those at Pilot Knob and Meramec Spring consumed prodigious quantities of charcoal. When iron and lead smelting moved closer to the Illinois coal fields, the charcoal ovens went cold but the industry was reborn in , the 1950s when the backyard barbecue produced a demand for charcoal briquettes. In recent years Missouri has ranked first among the states in charcoal production. The St. Louis and Iron Mountain Railroad was built south to Pilot Knob just before the Civil War began, and first penetrated the eastern Missouri "pineries." By 1872 the Kansas City, Fort Scott, and Memphis railroad was building southeast toward Memphis, Tennessee, through the western part of the pine forests, and the St. Louis and Iron Mountain had built southward beyond Pilot Knob to the Arkansas line, accessing the southeast Missouri pine tracts. The Missouri Pacific White River Line, the Missouri and North Arkansas Railroad, and the Frisco line from Pierce City to Fayetteville and Fort Smith opened up vast tracts of oak and pine in southern Missouri and northern Arkansas to lumbermill operators. Branch lines were built from the main railroads into especially productive timber country. The lumber companies followed well-established practices in setting up their milling operations. 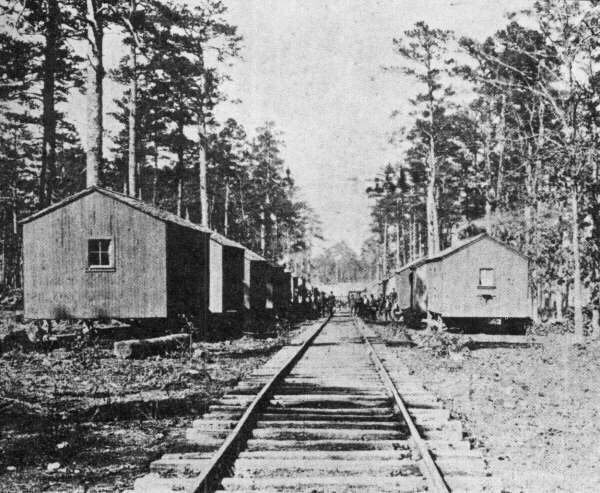 Mills and manufacturing facilities were built, logging rail roads constructed, and work camps set up in the timber to assure a steady supply of logs. Short-leaf pine forests were exploited for construction lumber, while oak was cut, sawed, and milled for flooring, barrel staves, and railroad supplies. Large sawmill companies were attracted to the southern Courtois Hills of Missouri in Shannon, Carter, Reynolds, Oregon, Ripley, Wayne, and Butler counties, and to the pine and oak tracts in the north Arkansas counties of Washington, Madison, Franklin, Carroll, Boone, Searcy, Marion, Baxter, Izard, and Stone. Large companies such as the Missouri Lumber and Mining Company, the Cordz-Fisher Company, the Ozark Land and Lumber Company, the Current River Land and Cattle Company, A the Clarkson Sawmill Company, the Doniphan Lumber Company, and the Culbertson Stock and Lumber Company operated in the central and eastern Ozarks. Doniphan, Leeper, Grandin, West Eminence, Winona and Birch Tree became boom towns when large sawmills were built. E. B. Grandin, Tidioute, Pa.
Company, the largest in northwest Arkansas. 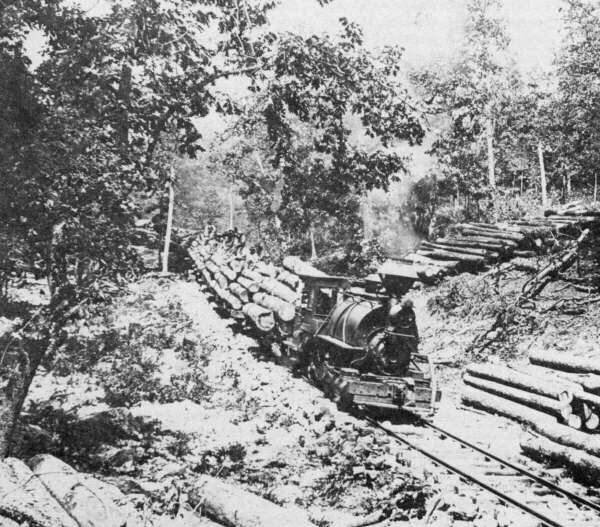 Lumber towns along the Missouri and North Arkansas Railroad included Seligman, Missouri and the Arkansas towns of Beaver, Freeman, Berryville, Harrison, Pindall, St. Joe, Marshall, Edgemont, Heber Springs, Pangbom and Searcy. The H.D. Williams Cooperage Company employed nearly everyone in Leslie in its huge barrel factory and in the dozens of"green mills" along the tram lines that hauled logs to the factory. While railroads were the key to profitable lumbering, railroad ties were often floated down Ozarks streams to railroads, where they were loaded on fiat-cars to be hauled to buyers. The logs were made in the woods during winter and early spring, then hauled to the river where they were tied together in rafts. Several large contracting companies were engaged in the business, but the Hobart-Lee Tie and Timber Company in Springfield operated the most far-flung system of riverside tie bankings and railroad tieyards. The Missouri Lumber and Mining Company was among the largest of the Ozark timber cutters. Its well-financed and well-organized operations serve to illustrate the character of large scale lumbering during the era of forest exploitation. Like most of the large lumber companies, the Missouri Lumber and Mining Company was organized by investors from outside the region. The capital, management, and model of operation came from the so-called"Forest Counties" of western Pennsylvania. By the late 1860s, O.H.P. Williams, a lumber and oil man from Pittsburgh, had cut most of his timber holdings in Pennsylvania and had begun to look for more timber lands. After making written inquiries from county officials in Missouri, Williams and his son-in-law, E.B. Grandin, of Tidioute, Pennsylvania, toured Iron, Reynolds, Shannon, and Wayne counties in 1871, looking for prime timber land. They found it, and concluded large timber purchases in the 1860s and 1870s. Timber cutting, however, had to await the arrival of the railroads. By 1880 the prerequisites for a successful lumbering operation were in place, and the Missouri Lumber and Mining Company built a huge mill at Grandin, in Carter County. The company was financed and directed by experienced Pennsylvania lumbermen and financiers. E.B. Grandin, the company's actual founder, had experience in lumber, oil, and banking. Other Pennsylvania oil men and financiers included Grandin's brother, J.L. Grandin, an oil man and banker, John Hunter, merchant and banker, L.L. Hunter a retail lumber dealer and sawmill operator. J.B. White, a bright young lumberman, was appointed manager of the new company. When the company came into full operation rails had reached nearby Piedmont, Williamsville, Doniphan and Willow Springs, which towns became the main shippingpoints for sawed and milled lumber. Except for management and a few skilled mill operators, land buyers, and timber graders, most of the workers were hired from the settlements and farms in the nearby river valleys. The operations of the Grandin mills were typical of turn-of-the-century lumbering. Narrow gage railroads or trainlines were built into properties owned by the company. Logging crews went into areas where cutters had felled trees and set up temporary lumber camps, including tents, food supplies, and grain and hay for their work animals. The crews trimmed and sawed the trees into logs, skidded them to the trainlines where they were loaded on the log cars and hauled to Tolliver Pond, a water-filled sinkhole beside the Grandin mill. The pond provided fire-safe storage until the logs could be fished out and conveyed to the mill. Workers at Grandin received $1.50 a day or $0.15 per hour, but sawyers at the mill and toploaders in the lumber camps, received as much as $2.50 for a ten-hour workday. Wages were paid in cash, but coupons (script) were used in the event a worker needed to borrow money before payday. The $2.00 and $5.00 coupons were used to make purchases at the company store and the amount drawn was charged against the workers next paycheck. In 1900, when the timber boom was in full stride, Grandin had a population of about 3,000, and the company employed about 1,200 workers. The boom ended in 1910 when the mill whistle blew for the last time. By 1911 all the equipment had been moved to the new mill at West Eminence in Shannon county. As the mill workers left town the shotgun style houses were sold for $50 to $100 each. By 1938, Grandin's population had fallen to 300. In the same year the good news that a new state highway, Missouri 28, would be routed through the town was offset by the news that the Frisco Railroad would discontinue service. Mobile logging camp of Cordz-Fisher Lumber Company of Birch Tree. Camp on tram line 12 miles south of Birch Tree at Pat Pond. Note open stand of mature shortleaf pine. 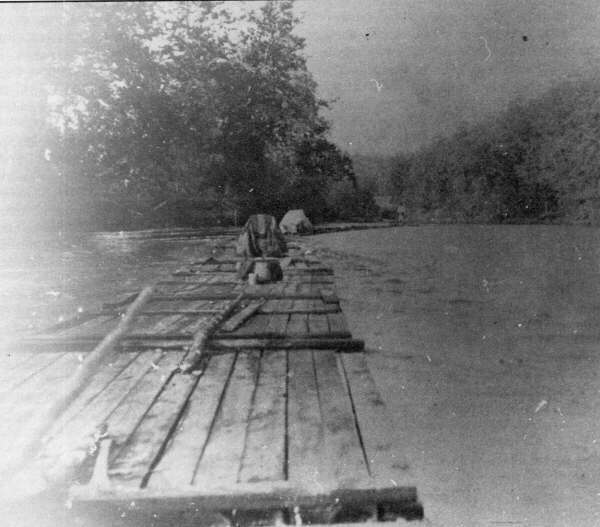 Rare photo of a tie raft, no date, no location. Possibly on middle Current River. The lumber mills brought people and temporary prosperity. Towns grew up around the mills, flourished for a time, passed into rapid decline, then slow attrition. A few of the old lumber towns have experienced renewed growth from tourism, manufacturing, and retail trade. For example, Winona, in Shannon County, Missouri declined from 602 inhabitants in 1890 to 108 in 1990. On the other hand, Doniphan, the county seat of Ripley County, Missouri grew from a population of 605 to 1,713 during the same time span. The removal of the timber resulted in serious depletion of the natural resource base. The journals of early travelers and settlers contain numerous references to the plentiful supply of wild game. By the mid-1930's the populations of many wildlife species were much diminished, partly because of the destruction of their natural habitat and partly due to unrestricted hunting to bolster family food supplies during hard times. In 1937, when the Missouri Conservation Commission was founded, the deer population had been reduced to an all-time low estimated at 3,500. Many other species of wildlife experienced similar decreases in population. The subdivision and sale of the larger holdings that had been cut over had a deleterious effect on soils and the natural reforestation process. The soils of the hillier timber areas are shallow to begin with, being no more than 4 to 8 inches deep, and they quickly eroded when cultivated. Skillful manipulators offered for sale poor cutover Ozark land using half-truths and well-selected illustrations. They conjured up visions of comfortable country homes in the minds of city clerks and traders who had tired of the routine or instability of their occupations. Advertisements placed in newspapers claimed that land could be purchased for $5 or $6 an acre, improved, and sold for $40 to $50 an acre. The land was laid out in small tracts of 5 to 40 acres and sold for fruit orchards and chicken farms. Often it was so Ix)or that trees could have been planted only by blasting holes or so remote and inaccessible that products could be marketed only at great cost. The sequence of events that followed is one of the most tragic in the history of mankind's relationship with the Ozark environment. With the virgin forest removed the sunlight shining on the denuded hills brought forth a profusion of oak sprouts. The brush soon choked out the annual grass that had sprang up when the timber was first cleared. Soil erosion was accelerated and rock, soil and wood slash debris washed down from the hillsides and filled the stream 'valleys. Former timber workers were forced to attempt subsistence by fanning on those dry, gravelly bottoms and by grazing cattle on "company" hill lands. A "sprouting axe," (to cut the woody "sprouts" in every cleared field) became a familiar tool to every child on an Ozark hill farm. Burning off the Ozarks became a custom. Initially a means to reduce hardwood competition with annuals, this practice eventually became a prescription for "greening up" each spring. forested were reduced to about 15 million acres of abused lands supporting very little that could be called a forest. All the while small hardscrabble farms that had been established clung on precariously until the owners' capital played out. Much of the Ozark region's reputation as a place of poverty and hard times grew out of the removal of the forest. County governments faced hard times as the lumber companies and small farmers abandoned their land and ceased paying taxes. The era of forest management dates from the 1930s when the Ozark forest had been removed and the nation was in the throes of the Groat Depression. Even earlier, in 1908, the Ozark National Forest had been established in the Boston Mountains of northern Arkansas. In 1933 the Mark Twain National Forest was established in the Missouri Ozarks. Both forests are made up of several districts which contain considerable private land. Usually the poorer land was sold to the federal government leaving the cleared valleys and the more level ridgetops in private hands. The land in the national forests was managed according to the comprehensive multiple-use sustained-yield plan adopted by the U.S. Forest Service. Land purchases were made under the provisions of the 1909 Weeks Law, which provided funds to purchase land for watershed protection. Various remediation steps were taken to restore the forest cover and rebuild soil fertility. Reforestation, planting stands of pine and walnut, harvesting damaged and diseased trees, pruning, thinning, establishing rue control, construction of check dams to prevent erosion, and control of open range grazing were applied to cut-over land according to need. Control of timber theft from public lands was an especially thorny problem. During the Depression years theft of saw timber became so common that the practice was called "grandma-ing," denoting the usual excuse that was given when the culprits were caught, namely, "I cut this timber on grandma's place." Log tram, Missouri Lumber and Mining Company, probably central Shannon County, Missouri, 1907. Locomotive wheels driven by worm screws rather than piston rods. Yale School of Forestry photo. Forest service educational specialists presented conservation programs in schools, mobile classrooms and demonstration plots to educate Ozark farmers about the advantages of proper forest management. Getting people to stop burning proved especially difficult. The tradition of burning the woods to "green up" the grass was very strong. Laws controlling wildlife hunting and fishing had been established in Missouri, Arkansas and Oklahoma in the late 1900s. During the 1930s wildlife and fisheries commissions were established. When the Missouri Conservation Commission was established in 1937 programs for restoration of fish and wildlife were already underway. The Peck Ranch Wildlife Area in northwest Carter County was established on land acquired from the Peck Brothers Lumber Company. Expansion of the national forests, state forests, and game reserves and the gradual improvement of the habitat resulted in rapid restoration of wildlife and fish populations. The forests and related natural resources have benefitted from federal and state assistance in two ways: the condition of the forests on federally owned land has been improved significantly by the multiple-use sustained-yield principle of management. Forest Service management practices had been adopted by many private land owners. A noteworthy example of enlightened timber and habitat management on private holdings is the Pioneer Forest established by Leo Drey, a wealthy St. Louis businessman. Drey' s holdings of about 155,000 acres (242 square miles) stretches across Dent, Reynolds, Ripley, Shannon, Texas, and Carter counties in Missouri. Drey's Pioneer Forest is managed under strict selective cutting practices. In addition to his forest land purchases, Drey has bought more than 2,000 acres of land in an effort to preserve some of Missouri's most scenic and fragile natural features, including magnificent Greer's Spring near Alton, Oregon County, and Dillard Mill, now a State Historic Site, in Crawford County. Purchase of Ozark forest land for conservation and recreational purposes has accelerated in recent years. Associations of environmentalists and conservation-minded people have been formed to purchase forest lands. One such group is the Greenwood Forest Association which purchased 600 acres of forest land near Mountain View, Missouri to prevent its sale to a lumber company. In 1992, the Missouri Department of Conservation and the Nature Conservancy acquired 80,819 acres in Shannon, Carter, Wayne and Dent counties for management to protect its natural heritage and to provide for uses such as hiking, hunting, timber harvest, and nature study. From a conservation and environmental point of view the consolidation of forest land is a good thing. Owners of small forest tracts can not afford the time or cost of good forest management practices. Generally, the larger the land holding, the better the forest management practices. Since 84 percent of Missouri's forest-lands are in private lands (96 percent of the commercial grade timber), most of the educational and assistance programs of the Missouri Department of Conservation are directed primarily toward privately owned lands. Progress in reforestation and conservation of forest resources is readily evident. Slowly improving stands of timber and somewhat more stable markets for forest products, including a modest strengthening of the demand for hardwoods in the building trades, have contributed to a more stable Ozark lumber industry. Pine is cut for posts, poles and dimension lumber, oak and hickory are used for decorative trim and furniture, and the slabwood (trimmings) goes to the charcoal ovens. Walnut is prized for veneer wood, furniture and gunstocks. Warsaw, Missouri is the home of two nationally-known gunstock manufactures, Reinhardt Fajen, Inc. and E.C. Bishop and Son, Incorporated. Cedar is harvested for posts and for aromatic lining for closets and chests. Maple, ash, elm, poplar and other hardwoods are cut for lumber and firewood. Solutions to the problems of managing forest resources and producing and using wood products lie with timber owners and the industries that harvest and process these products. Nonfarm ownership of forest land is increasing steadily. Frequently, the land is purchased for purposes other than timber production; probably most urban buyers expect higher recreational value (hunting, fishing, camping, nature study) in addition to capital gain as land values increase. With a growing population and increasing levels of tourism the Ozark forest may eventually find its highest and best use as a recreational resource. 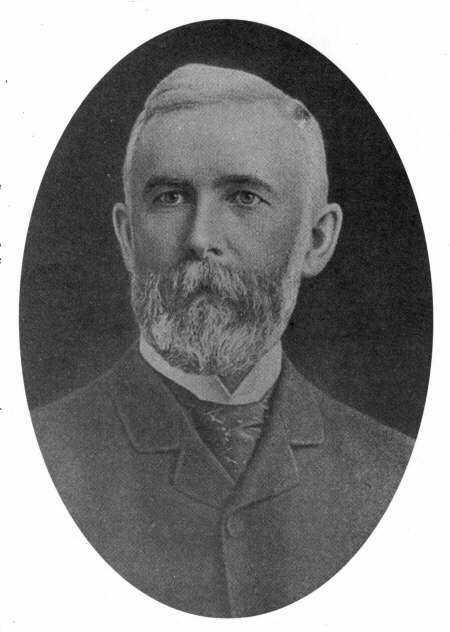 Auckley, Brace, "Gunstock Capital of the World," Missouri Conservationist, Vol. 44, No. 12, December, 1983, pp. 4-9. Barnett, Tracy, L. "The Godfather of Conservation," Columbia Daily Tribune, Columbia, Missouri, July 30, 1989, pp. 29-30. "Forest Land Bought," Wake Up To Missouri, Vol. 21, No. 3, March, 1992, p. 6. Lemons, Terry, "The Man Who Owns the Ozarks," The News-Leader, Springfield, Missouri, September 11, 1988, p. 56, 86. Morrow, Lynn, and James Keefe, The White River Chronicles of S.C. Turnbo, manuscript in submission to the University of Arkansas Press, Fayetteville, Arkansas, 1992. Rafferty, Milton D., The Ozarks: Land and Life. Norman: University of Oklahoma Press, 1980. Missouri: A Geography. Boulder, Colorado: Westview Press, 1983. Schoolcraft, Henry Rowe, Journal of a Tour into the Interior of Missouri and Arkansas in 1818 and 1819 and Schoolcraft in the Ozarks, ed. Hugh Park. Van Buren, Arkansas: Press-Argus Printers, 1955, p. 46. Spencer, John S., Jr., and Burton L. Essex, Timber in Missouri, 1972, USDA Forest Service, Resource Bulletin NC-30, North Central Forest Experiment Station, St. Paul, Minnesota, 1972. Still, Mary, "Leo Drey: Land Magnate of the Ozarks," Missouri Resource Review, Vol. 2, No. 1, Winter, 1983-84, pp. 24-26. Thoreau, Henry D. The Maine Woods, in The Portable Thoreau, Carl Bode, ed., New York: Penguin Books, 1977. Between Eminence and Round Spring, north Shannon County, Missouri.